Venterra’s WOW culture began in 2009 with our Customer Service Vision to deliver a Better Way of Living to our residents and continuously raise the standard of apartment living through our commitment to exceptional service. And boy did we ever raise the standard…with nearly 4,500 WOW moments created for our residents in merely 4 years! I think you would agree this is a WOW moment that will be remembered forever! 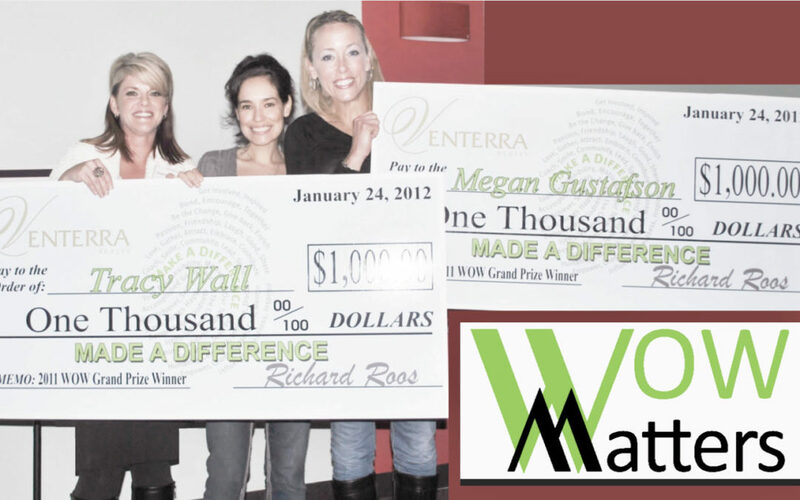 Beating out 3,200 other WOW stories and resident compliments, Megan Gustafson and Tracy Wall of Carlyle Place in San Antonio received their checks at the San Antonio region’s Kick-Off party in January 2012.